Mekong Delta Travel will give visitors the amazing vacation due to the beautiful scenery. In the area, there are a lot of rivers and cultural heritage. Also, you can have the chance to explore various ideal destinations regarding nature or honest people etc. 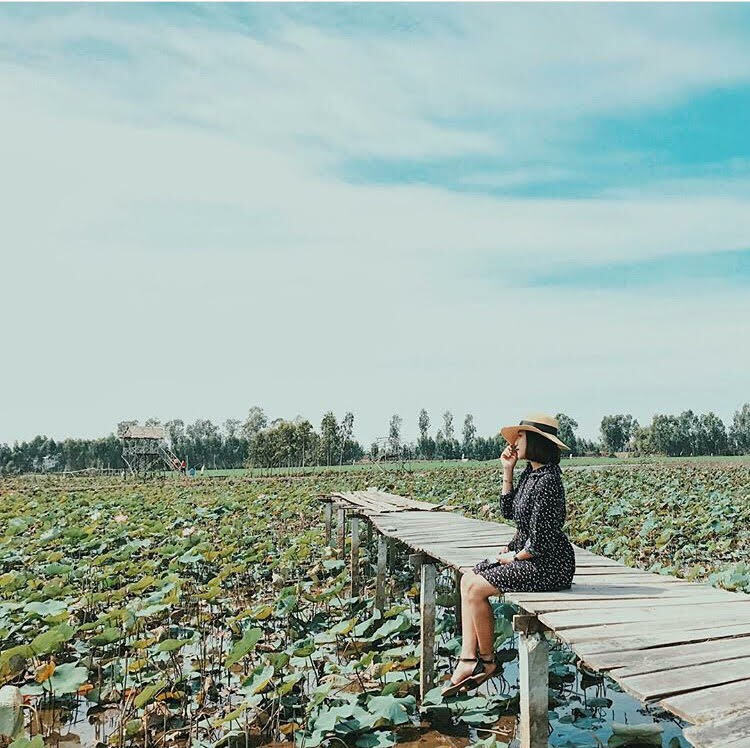 Before joining the memorable journey to explore the Mekong Delta in Vietnam, you should take an overview of everything about this area. The weather in Mekong Delta is humid tropical climate. Thus, the annual average temperature is 24 – 27 C and the difference between day and night temperature is low. There is little storm and weather disturbance here. Hence, this moderate weather almost allows visitors to have beautiful Mekong Delta travel in all year. There are two distinct seasons including rainy season and dry season in Mekong Delta. Rain begins from May to October, when rainfall accounts for 99% total rainfall of the year. Especially, September to November is the floating season, which brings much fun to experience this characteristic of this floating area. The dry season starts from December to April with the amount of almost no rain. Especially, months from December to February is the closest time to the New Year. Therefore, the weather seems wonderful to see beautiful landscapes. In Mekong Delta travel, you should take these recommendations of wonderful attractions. Visitors will have the opportunity to experience ecological travel, visit the floating markets, and cultural destinations. Let’s check out the ideal points of interest on your most exciting journey. Tan Phong is an islet located in the middle of the Tien River in Cai Lay District, Tien Giang Province. Due to alluvial deposits and fresh water all year, Tan Phong has a favorable position in fishing and gardening. Tan Phong has become the perfect destination for ecological tours in Mekong Delta travel. At Tan Phong Island, the boats bring tourists into small canals. Thus, they can feel the actual life of locals when walking through village road full of rambutan, durian, banana, etc. In addition, you have the opportunity to learn how to cook South Vietnamese cuisine from the fresh ingredients of the Mekong River. Tra Su (An Giang) brings a peaceful scene of the river area. 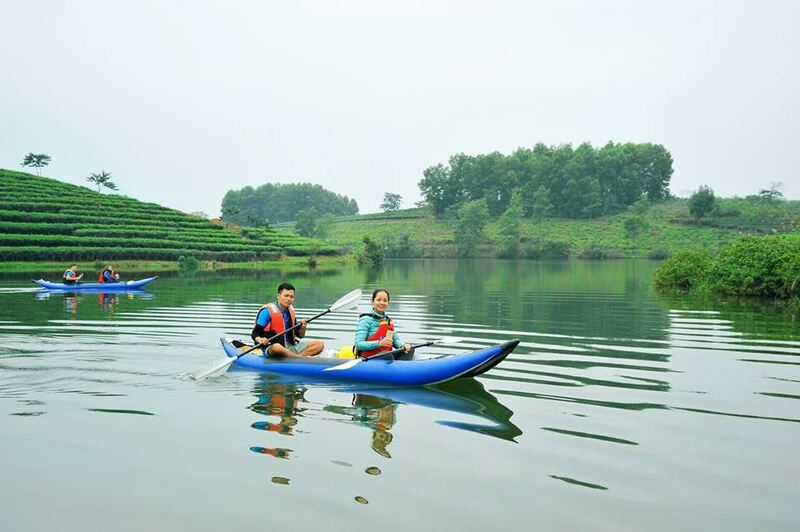 Thus, visitors can experience canoe trips alongside cajuput forests which contains various seasonal plants and animals. In the midst of the turquoise sky, the forest and green water-ferns bring to visitors a sense of coolness, harmony with nature. With this charming beauty, Tra Su is worth being the typical scenery of the Mekong Delta. This attraction is home to more than 70 typical species of birds in the mangroves and other ecosystems. Furthermore, it includes rare species: Indian storks, white catfish, cranes, etc. It is a 284-meter mountain, lying alone between the Long Xuyen Plain, in the area of Chau Doc. It is interesting to follow the meandering path alongside the mountain. Both sides of the road are the nulgar bamboo forest like the chopsticks. Also, there are many dense shrubs and bushes. Another, the featured plant in Sam Moutain is ti-gon flowers. Sometimes there are many birds singing, which brings relaxed and nature-favored experience for travelers. Tram Chim National Park is located in Tam Nong District, Dong Thap Province. 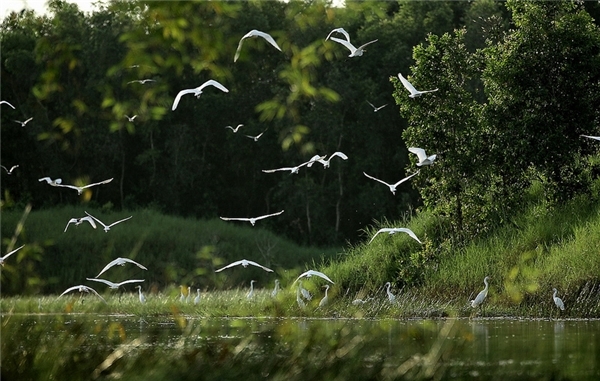 It is a wetland area of Vietnam having special-use forests. Besides, there are various rare bird species listed in the Red Book such as sarus cranes, black eagles, gray pelicans. The national park has many activities to encourage tourism, environmental protection like boat trips to visit Tram Chim, and cultivation & harvesting. The traditional Lunar New Year is coming nearly, so the flower villages in Mekong Delta travel become extremely beautiful, with unique colors in blossoms. During this peak time, there is one well-known village named Tan Quy Dong in Sa Dec, Dong Thap Province. Tan Quy Dong flower garden will be a colorful place to visit and see flowers like apricot blossoms, daisy, and bonsai. Regarding Mekong Delta, you must not omit the hottest destination – Phu Quoc Island. Phu Quoc has a lot of beautiful beaches, 99 mountains, and many pristine forests. In the south, there are 12 small, big islands from An Thoi Islands, and to the north, we have marvelous islands: Hon Tay, Doi Moi, Hon Than and Bo Bac etc. These destinations are ideal places for Phu Quoc travel activities like fishing, scuba diving, exploring the wilderness and going picnic. Blue beaches, peaceful streams together with unique seafood are attractive features of Phu Quoc travel. 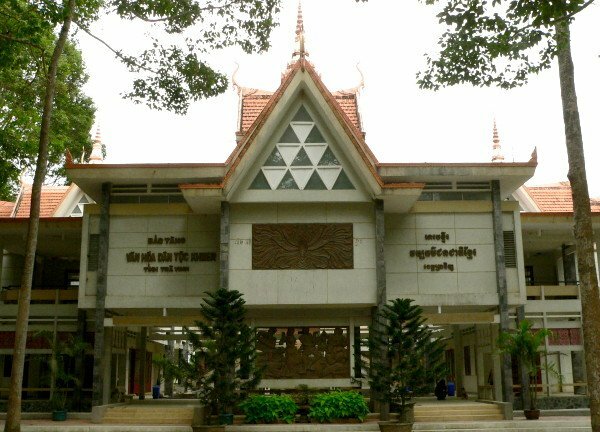 Khmer Culture Museum in Tra Vinh was established in 1995, preserving many objects of Khmer people in the Mekong Delta. The museum is built based on the traditional architecture combined with modern style. The ground floor is the working office of officials and museum staff. In addition, there is a semi-lunar lake full of many fishes, creating a pleasant and fresh feeling. Upstairs there are three art galleries. In detail, the first room is used to display artifacts of the Khmer temple model. And, there is a hall for the monks to sit. In conclusion. through this spiritual space, visitors will go into another world – the world of the spirits in Mekong Delta journey. Da Phuoc Cham Village has formed about 120 years ago, concentrated in Ha Bao 2 hamlet, alongside National Highway 91C, and along the Hau river. 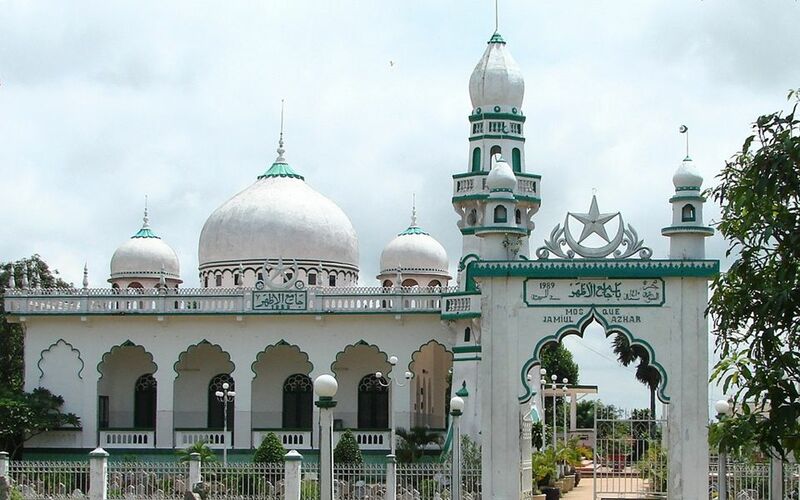 This is where EHSAN Cathedral and SUNNAH Cathedral – two unique architectural works, were built. 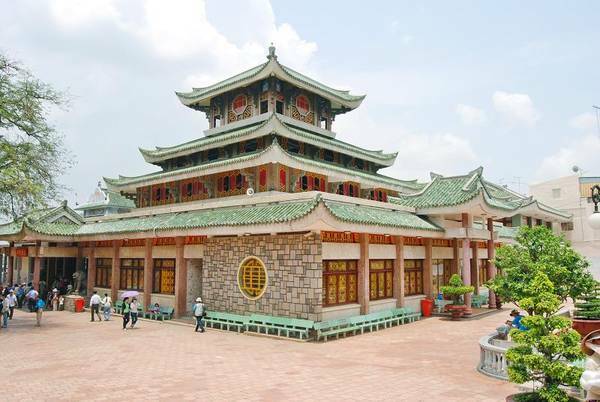 It is the place of religious activities of the Cham community in An Giang province. The villages of the Cham people have a strange attraction by the unique architecture of the majestic ancient church or the hundred-year-old wooden-floor houses. The cultural values make the destination ideal for tourists when taking Mekong Delta tour. Ba Chua Xu is a legendary person worshiped in Sam Mount. (Chau Doc, An Giang). Every year, this relic place attracts nearly two million visitors. They not only come from neighboring provinces, but also from remote provinces such as the East and the Central of Vietnam. Formed in the 18th century, Cai Be floating market is located crossborder among Vinh Long, Ben Tre, and Tien Giang province. 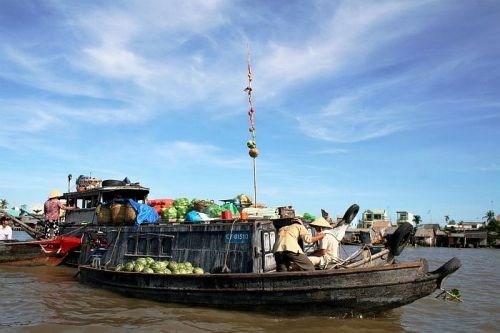 The oldest floating market in Tien Giang attracts a lot of tourists from the boat scene. There are many kinds of products on sale, ranging from fruit, poultry, seafood to home appliances and textiles. If you want to buy gifts, you can choose famous items in Cai Be like sugar, coconut candy or coconut soap. You should also visit the floating market soon because the market is open from 2 am to 8 am. Cai Rang floating market is a familiar destination when it comes to Can Tho. The market specializes in buying fruits, agricultural products of the region. Every morning, hundreds of small boats park on the boat and sell the goods that do not need to sell goods like the land market. Cai Rang floating market opens from 5 to 9 am. Coming to the market every morning, visitors can also eat breakfast and experience exciting things on the boat. This is a very special culture in the Mekong Delta, attracting a lot of foreign visitors. 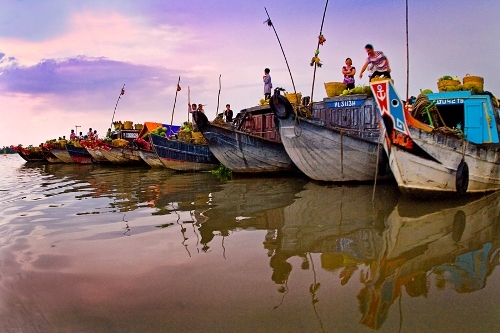 The Phung Hiep floating market is located in about the southern Hau Giang. This market was also called Nga Bay Hau Giang floating market. Phung Hiep Floating Market sells a lot of items, mainly focusing on Western handicrafts, such as gecko, turtle and lizard. Situated 2km away from the city center, Long Xuyen floating market trade many products like main fruits from pineapple, watermelon, coconut, banana to mango. Each fruit is carefully chosen to have the nice appearance and great taste. In detail, big watermelon costs only 5 thousand per kilogram and dry coconut costs 6 thousand per unit. And the river is not only a place for marketing but also a living space of many traders. 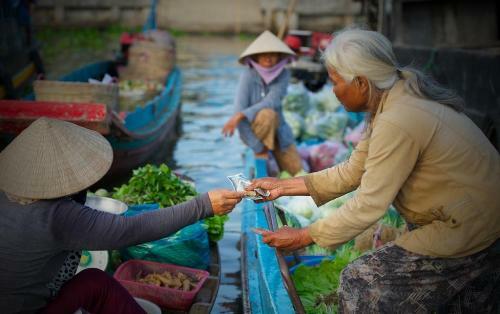 Tra On is a floating market in the Hau River with a length of over 300m. 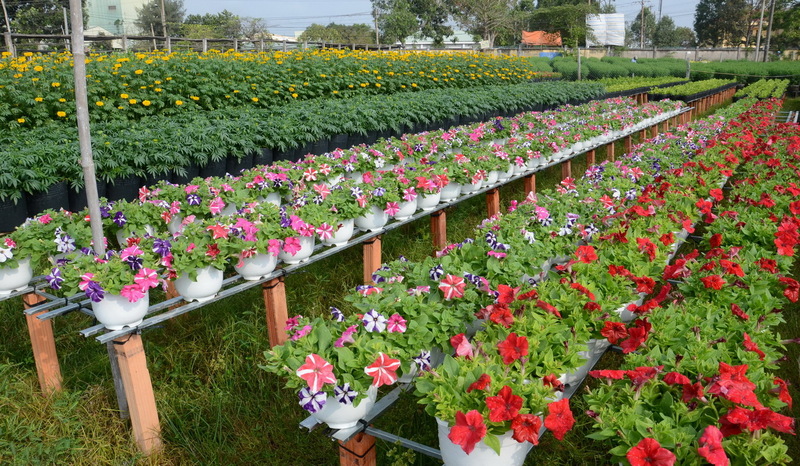 The market has the feature of the wholesale market where the products are distributed to retailers. These main items here are agricultural products containing yams, sweet potato, cucumber, or fruits including Hoa Binh star apple, Luc Thanh durian. Another striking difference of Tra On is flowers boats decorated in many colors and strange shapes. Visitors should not miss the special “firefish” with one and only taste in Mekong Delta area. – By plane: In order to save much time, you should choose to go by flights. They include Ha Noi – Can Tho. From Can Tho airport, you can go by car at Can Tho Coach Station in Nam Can Tho Urban Area. This new station situates in QL1, Hung Thanh Ward, Cai Rang District. That helps you to transport to other provinces. 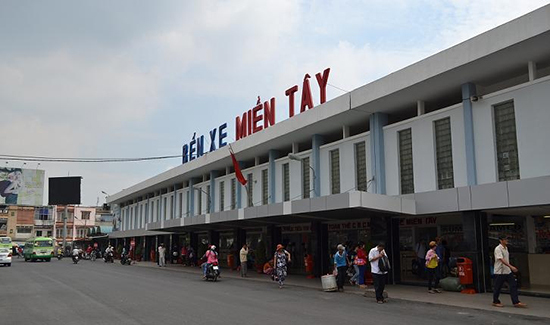 – By car: In Mien Tay coach station in Binh Tan District in HCMC, you buy tickets to other provinces. It is money – saving way to travel to Mekong Delta. Tickets are available in 395 Kinh Duong Vuong, An Lac Ward, Binh Tan District, HCMC. Define your next province to come and buy the right ticket to go by car. – By bike: You can follow 1A Highway to visit other Mekong Delta provinces: Long An, Tien Giang, Vinh Long and Dong Thap etc. Traveling by yourself in bikes in Mekong Delta is quite difficult due to disadvantageous roads and other facilities. Therefore, you should consider commended tours to have a nice trip. To travel among different places in the West, you can go by motorbike, boat, boat or canoe, etc. Note that when traveling by riverway, visitors should wear life jackets to ensure safety. Temperatures there are quite high, so visitors should bring the jacket, thin scarf, T-shirts, short sleeves and shorts instead of long-sleeved shirt and trousers. For the convenience of participating in amazing activities at your destination, sports shoes are the most affordable option. In the Mekong Delta, many dirt roads will become muddy in the rainy season, so be sure to prepare a pair of sandals with a firm grip. Mekong Delta has a lot of pagodas and temples. Hence, you should care much about elegant clothes according to local rituals. 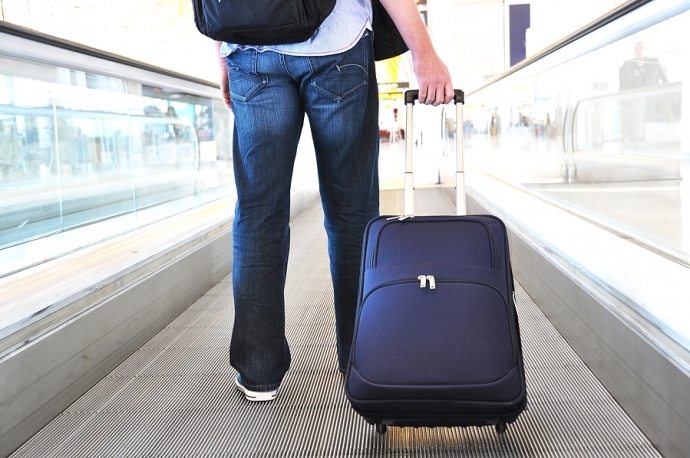 Baggage should be as light as possible and visitors should limit on carrying expensive items. Electronic equipment, such as cameras, smartphones, music players, etc. should be kept in the safest drawer. Also, you should cover them with a waterproof plastic bag. In addition to enjoying fresh fruits, visitors should not miss the delicious dishes in the famous places of the Mekong Delta travel. They are attractive, delicious and strange taste which shows the traditional flavor of this land. Duong dua is a type of larvae, which is very popular in the Mekong Delta. They live in the body of coconut trees, so it is very easy to catch them. Generally, you will have to cut down these trees if catching Duong dua. The dish made from Duong dua is nutritious and healthy food that is rich in protein and vitamins A, C, B1. They are the key ingredients in many dishes such as fried Duong dua, Duong dua salad, Duong dua flour, etc. Fish noodles is a simple dish but contain a picture of the whole countryside in harmonious taste. Hence, this is a popular dish in the Mekong Delta with many variations such as Chau Doc fish noodles, Kien Giang fish noodles, Soc Trang fish noodles, etc. Unlike dishes made from marine fish in Central Vietnam, Mekong Delta fish noodles are made from snakeheads in the rivers and paddy fields here. Grilled snakehead is a specialty of all locals in the Mekong Delta provinces. The dish is not difficult to cook when you just skew a fresh bamboo stalk along the fish body. Then, plug the fish head to the ground then straw up and burn it. Just add a little chili salt and some vegetables for you to enjoy the delicious taste. Crab meat porridge is easy to find in the Mekong Delta travel. This is a very good and cool dish that helps lower blood sugar. When you eat crab meat porridge, you should add a duck egg balut and some vegetables: spinach, Centella, broccoli, etc. The combination of the crab flavor and vegetables creates the attractive taste that visitors will definitely not resist. Mushroom Hotpot is a delicious dish that has been in Can Tho for a long time. Also, this food has been praised as the top best dish in the Mekong Delta that tourists cannot ignore. Main ingredients are made from mam linh or mam sac in Chau Doc – An Giang. 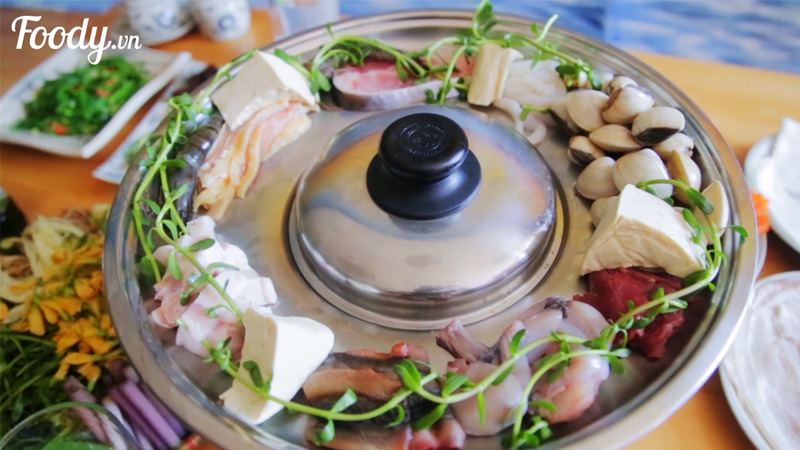 And, hot pot sauce combines fish sauce with coconut milk. 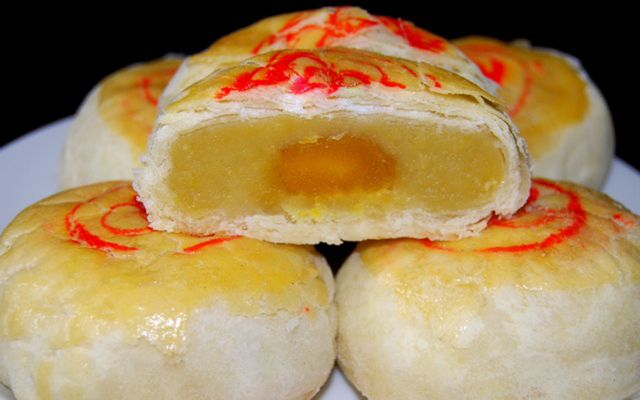 Soc Trang pia cake is not too sweet and not too fat. Travelers can buy some cakes as a gift for families and colleagues. Little cake has the amazing aroma of the Mekong Delta region. These folk cuisines have local variations that are varied with different ingredients such as crab, shrimp, crab, vegetables, etc. Though, it still retains the sweet flavor of the crabs. In the hot days, visitors can enjoy the delicious taste of hot pot smoking.Hotel Homestay in Mekong Delta. Mouse meat is a “favorite food” when having a great opportunity to visit the Mekong Delta area. In the mice season, farmers often hold mice hunts for improving the family meal, then creating delicious dishes for tourist. Also, that helps to reduce mice that destroy the crops. Hotels and motels in the Mekong Delta are also abundant, depending on your needs and budget. Especially, the people here are very hospitable, so you can ask for accommodation in the house, the boat or the islet. High-end hotels can be better choice including breakfast, laundry service, tourist information support, spa, massage for visitors. The resort is a separate villa-styled resort or independent rooms, with large campus for visitors to walk. 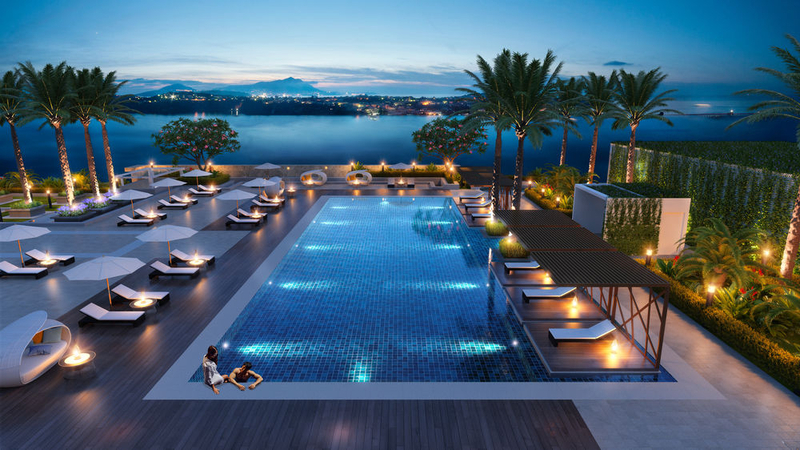 Also, wonderful amenities like swimming pool or restaurants are added. Additionally, there are also homestay types in the homes of locals. Vinpearl Can Tho Hotel is located in Ninh Kieu District, with a prime view of the poetic and gentle Can Tho river. It is an ideal resort where the beauty of modernity for visitors. This impressive hotel brings the open space of Sam Mountain. 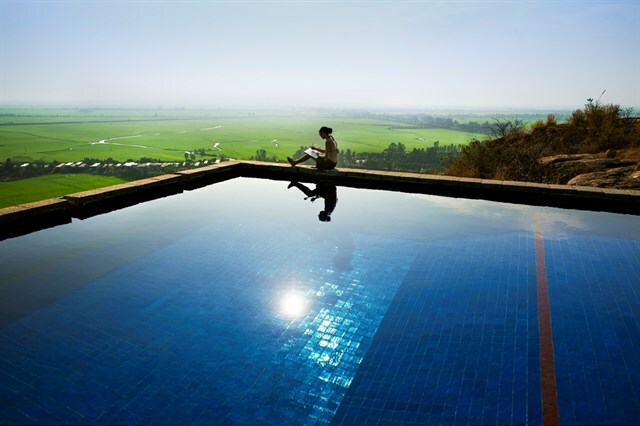 In detail, it indulges yourself in the cool waters and watches the panoramic view of rice paddies. Ben Tre Riverside Resort is a harmonious resort having the combination between the creative architecture and the beauty of nature. The resort has the stunning view of the romantic Ham Luong River. Also, it includes Hoang Lam luxurious restaurant, Ham Luong eco-tourism activities. Homestay is a typical tourism type in the world which is very popular in the Mekong Delta provinces, especially in Can Tho, Vinh Long, Ben Tre and Tien Giang. That means that visitors will eat, work together with locals there. At the above-mentioned places, this type gets much love from visitors. With this unique experience, visitors have a place to stay and see the culture and life at this attraction. Most of the customized tours in the Mekong Delta travel have the option to live in the local house for visitors to choose. With each such tour, the trip seems like extremely attractive and interesting. Regarding foreign travelers, they are really willing to learn, exchange their cultural experience when staying locals’ houses. In Coco Riverside Lodge, you will enjoy the peaceful environment like at your home. The houses are primarily designed with wood, which makes a cool and relaxing space for travelers in the Mekong Delta. Simple homestay gives you an attractive house from the first step. Instead of being served from the staff, you’ll be your own chef with your family. This homestay is designed as a peaceful village in the Mekong Delta. There are lots of features from ponds, trees, bamboo trees to banana gardens in a rural village. 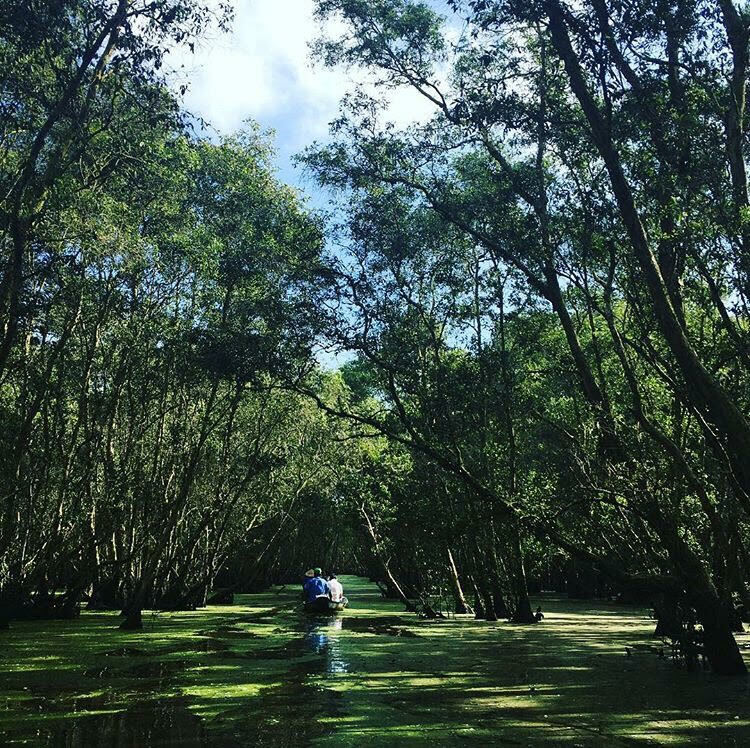 After reading this useful article about Mekong Delta travel, it is the right time to see more about the suitable tour for your journey. In Asiawaytavel, there are many tailor-made tours offered for you. Also, you can check and customized Mekong Delta tour such as Mekong In Depth Tour – 9 Days. 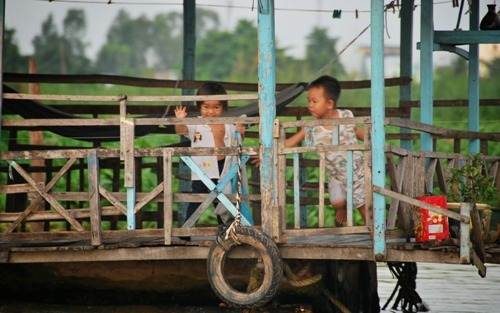 Wonderful memories in Mekong Delta is waiting for you!